5. Write under their real names, or under reasonable, professionally established pen names (e.g., Mark Twain for Samuel Clemens). A member may write under an obviously fictional name, or “in character,” only if the member is also identified by his or her real name in a non-obscure place on the website(s) where the members’ reviews are published. Writers who obscure their identities in order to remain anonymous may not be members of the OFCS. 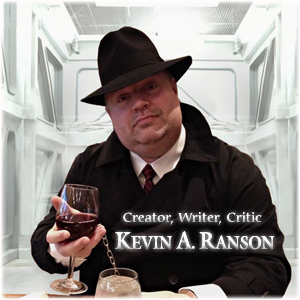 On my site, I make no secret that I play a character, Grim D. Reaper, which is also the subject of videos and podcasts that I use to call attention to the site. Like any mascot, I do blur the line between myself and the character. It’s a gimmick, it’s advertising, and for my regular visitors, it’s expected (you should see the Halloween requests I get to show up in character). The current wording of “five” makes that interpretation a bit gray. Are you suggesting that someone who NEVER chooses to reveal themselves is not admitted or allowed, or that someone who merely obscures the fact? I don’t see why they should care if you write reviews as you or as Death. Unless they are paying you, it should not be any of their business. For my 2 cents, it should be sufficient that you have the “ghost writer” credit at the bottom. Some of these people can get a rather bloated view of their own importance. Anyone with a brain can figure out it’s a character for the purpose of entertainment; and you aren’t concealing your identity – it’s written right there. Besides, the Reaper spin on reviews is more fun than those other websites!